If you had started a monthly Systematic Investment Plan of र 5,000 in Reliance Tax Saver Mutual Fund Scheme 10 years back, by now you would have accumulated a corpus of nearly र 13.5 lacs with a cumulative investment of just र 6 lacs. In fact, Reliance Tax Saver Fund delivered the highest 10 year SIP returns among all mutual fund Equity Linked Savings Schemes in India. Equity Linked Savings Scheme (ELSS) is one of the most popular tax saving investments under section 80C of the Income Tax Act, where investors can avail the triple benefits of tax savings, capital appreciation and tax free returns. We have discussed why ELSS is the best long term tax saving investment option in our article, The best tax saving investment: Should you invest in PPF or ELSS. In the 2014 budget the overall limit under section 80C was increased to र 1.5 lacs. Investors can not only save up to र 46,350 in taxes per year by investing in Equity Linked Savings Schemes (ELSS), they can also build substantial wealth over a long investment horizon. In fact, for young investors ELSS should be the first tax saving investment choice to plan for long term goals like retirement planning (please see our article, ELSS is one of the best retirement planning investments for young investors). Reliance Tax Saver fund has been one of the best ELSS performers for a long time. In fact this fund has consistently been in top 5 ELSS, in terms of trailing returns among all ELSS funds, over various time-scales ranging from the last 3 years to the last 10 years. This fund launched in August 2005, has generated nearly 15% compounded annual returns since its inception. Though the fund underperformed relative to the ELSS category of mutual funds in the last one year, it has outperformed the category over the last 3 to 10 years. A one year time period is considered to be short term with reference to equity mutual fund investments and short term underperformance can be caused by a variety of factors which may not be relevant in the long term. Anyway when investing in Equity Linked Savings Schemes, you need to have an investment horizon of at least 3 years because you cannot redeem units of ELSS before 3 years are completed from the date of investment. See the chart below, for the comparison of trailing annualized returns over three, five, and ten year periods, between Reliance Tax Saver fund (Growth Option) and the ELSS Category (NAVs as on January 27 2016). The fund outperformed its peers on a fairly consistent basis ever since its inception. The chart below shows the annual returns of the Reliance Tax Saver (Growth option) and the ELSS category, since the inception of the fund. Morningstar has assigned a 4 star rating for this fund. This fund is suitable for investors looking for tax planning investment options under Section 80C with the expectation of long term capital appreciation. However, since this is essentially an equity fund, it is subject to market risk and volatility as compared to other tax saving instruments like PPF, NSC etc. However, equities as an asset class generate superior returns over the long term and serves as an effective hedge against inflation. What distinguishes Reliance Tax Saver funds from most of its peers is the midcap orientation of its fund portfolio, as opposed to the large cap orientation of most ELSS funds. As such, midcap stocks have the potential to provide higher returns than large cap stocks. However, the volatility of midcap stocks is higher than large cap stocks. This fund is suitable for investors planning for long term financial objectives like retirement planning, children’s education, marriage etc. The fund has an AUM base of over र 4,600 crores, with a relatively low expense ratio of 2%. The fund manager of this scheme is Ashwani Kumar. Ashwani is very experienced fund manager and has a great track record of generating high alphas. The fund manager employs a bottoms stock picking approach to his portfolio and identifies companies at attractive valuations with high growth potential. About 50% of the portfolio holding of Reliance Tax Saver Fund is invested in small and midcap stocks. In the last one year the fund manager has reduced his exposure to midcaps and allocated more to large caps. There is a sensible logic underlying increasing allocation to large cap companies. Over the past 2 years small and midcap segments have been outperforming the large cap market segment in terms of share price movements. The small and midcap outperformance has led to a situation where the valuation gap between many large cap and midcap companies does not exist and in some cases midcap companies are more richly valued. Many investment experts are making the case that, large cap companies are now available at very attractive valuations and are likely to give outstanding returns when the market recovers. From a sector perspective, the portfolio has a bias for cyclical sectors like Automobiles and Auto Ancillaries, Banking and Finance, Capital Goods, Industrial Products, Metals etc. As the investment cycle revives in our economy these sectors have the potential to deliver strong earnings and consequently excellent returns. In terms of company concentration, the portfolio is very well diversified with its top 5 holdings, TVS Motor, SBI, ICICI Bank, ITC and Honeywell Automation accounting for only 28% of the total portfolio value. Even the top 10 stocks account for only 40% of the portfolio holdings. A comparison of annualized returns of Reliance Tax Saver Fund versus its peer set over various time periods shows why this fund is considered a chart topper among ELSS funds. If we ignore the last one year returns, in terms of trailing annualized returns, the fund has beaten all its peers, excluding Axis Long Term Equity Fund, across most time periods over the past 5 years. See chart below for comparison of annualized returns over one, two and three year periods. NAVs as on January 27 2016. In terms of risk measures, the volatility of the Reliance Tax Saver fund is understandably on the higher side, given its high exposure to small and midcap segments. The annualized standard deviation of monthly returns of Reliance Tax Saver Fund over the last five years is 22% compared to 16% for the ELSS category. However, on a risk adjusted return basis, as measured by Sharpe Ratio the fund has outperformed the ELSS category. See charts below for comparison of volatilities and Sharpe ratios between Reliance Tax Saver Fund and ELSS funds category. र 1 lac lump sum investment in the Reliance Tax Saver fund NFO (growth option) would have grown to value of over र 4 lacs as on January 27 2016. The chart below shows the returns since inception of र 5,000 invested monthly through Systematic Investment Plan mode in the Reliance Tax Saver fund (growth option). The chart below shows the SIP returns of the fund since inception. NAVs as on January 27 2016. The chart above shows that a monthly SIP of र 5,000 started at inception of the Reliance Tax Saver fund (growth option) would have grown to over र 14.5 lacs by January 27 2016, while the investor would have invested in total about र 6.3 lacs. The SIP return over the last 10 years or so of Reliance Tax Saver Fund was nearly 16%. Investors should bear in mind that the last 10 years was not a one way bull market. We had second worst bear market in the last 100 years of global equity markets in 2008. In 2011 the market fell by nearly 30% from the previous high and again in 2015 / early 2016 the market fell by nearly 20% from the previous high. Bear market is a reality of stock market investing. However, bull market inevitably follows a bear market and the market scales a new high (please see our blog post, Making sense of volatility in the equity market: A Historical perspective). This is the essence of equity investing. In fact, through the SIP mode, you can make volatility your friend, through rupee cost averaging and get excellent returns in the long term. The outstanding SIP performance of Reliance Tax Saver Fund is a terrific example of wealth creation over the long term, the intervening periods of volatility notwithstanding. 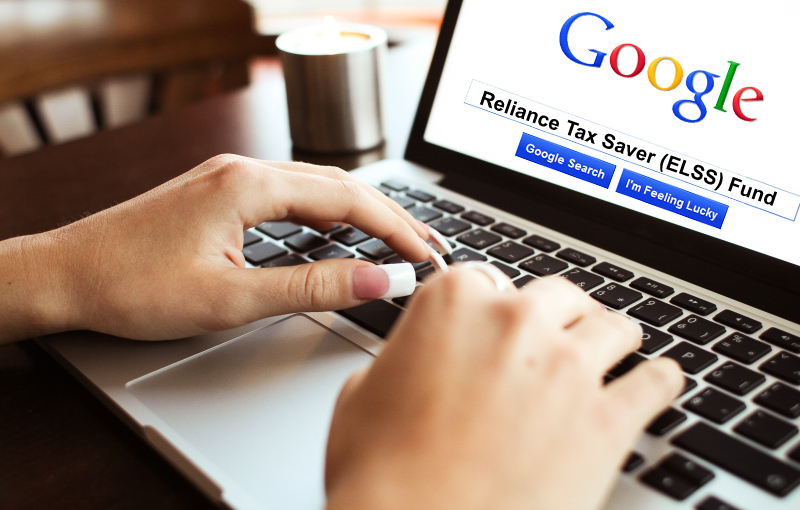 Reliance Tax Saver Fund completed 10 years last year and during this time has established itself as one the best Equity Linked Savings Schemes (ELSS) Mutual Fund Schemes in the market. It has delivered strong outperformance and has created wealth for its investors. The long term performance of Reliance Tax Saver fund is a testimony of the power of ELSS as a wealth creation investment. Investors planning for tax saving investments can consider buying the scheme through the systematic investment plan (SIP) or lump sum route with a long time horizon. Investors should also ensure that the investment objectives of the fund are aligned with their individual risk profiles and time horizons. You should consult with your financial advisors if Reliance Tax Saver fund is suitable for your tax planning and investment needs.